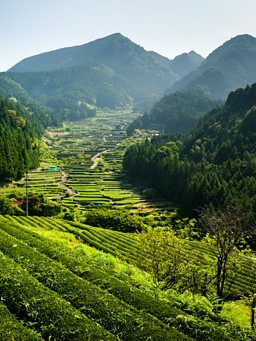 Honshu is what most people think of when they think ‘Japan’, and its cities and people are the living remains of centuries of samurai and imperial culture. Its landscape is perhaps the most extreme of all the 6800 or so Japanese islands – with some of the coldest and snowiest places in the whole of Japan either up north around Aomori or in the central Japanese ‘Alps’. However, it also has some of the highest recorded summer temperatures during the humid spell of July and August, when the rains that previously fell during the short June rainy season cease. Living on an island where over 100 million people have been crammed into an area 1/6th the size of France to avoid the inhospitable mountains, it’s no surprise that animals find refuge in just these places where people don’t tend to pass. Black bears, serow and macaques call these territories their home during the short summers, whereas lower down the slopes frogs, salamanders and insects in all shapes and sizes represent the rice paddy countryside. Indeed, they often have been raised to symbolic status – with different cicada species’ calls representing different seasons in poetry, fireflies carry the spirits of the dead, and beetle and dragonfly collecting is a popular children’s pastime. Even in the cities there is no shortage of wildlife, and the clever trickster raccoon dog (called a tanuki) can make its home in the urban metropolis that is Tokyo. And of course, Honshu is where the humble cherry blossom originated and rose to fame for its lush blooms that only peak for a week and symbolize the transient beauty that Japan is famous for the world over.